Established in 2013, it has become a multi-functional cryptocurrency exchange, trusted by over 250,000 users. CEX.IO is brought by the team of behind the largest Bitcoin Mining Pool — GHash.IO, which now counts 50 employees and 40 remote contractors from all over the world. 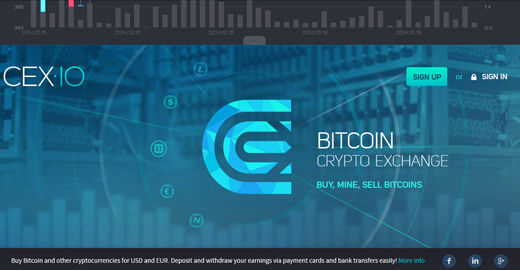 Through their activity, CEX IO aims to improve the current platform for trading cryptocurrencies and commodities, establish a fair market price for Bitcoin mining power, spread the Bitcoin knowledge and ideology, actively participate in the Bitcoin community and contribute to it in every possible way.